We offer Xperia Z5 Repairs from our stores across Perth, including the Z5 Compact and Z5 Premium. 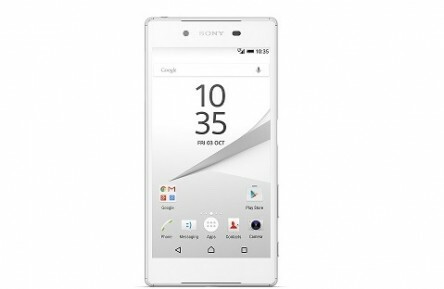 The Xperia Z5 is Sony’s latest flagship smart phone. Wait… what happened to the Z4 you say?? Maybe someone at Sony cannot count? Who knows, but what we do know is that the new Z5 is one hell of a phone. It has a new fingerprint reader, Full Hd Screen and 23 megapixel camera to name a few. The Phone Ninja Techs have got all the parts for Sony Xperia Z5 Repairs ready to go! The Xperia range is famous for its waterproof design. This however it should be noted that Sony now recommend that the phone is not submerged. So keep that in mind next time you’re taking your HD video at the beach. The Xperia range have always boosted a slim design, however it does make it easier to break, but don’t worry we can get that sorted for you! Here at Phone ninja, we pride ourselves as being pioneers on new model repairs, and the Xperia Z5 is no exception. We will be constantly searching for new parts at better prices and will pass any savings onto you the customer with our best price first and on page pricing. Warning: Phone will no longer be water proof after repair.